Two leaders (well one leader and one manager), two Parties, two announcements and two very different results. Auckland’s population grew 14 per cent between 2008/09 and 2015/16, with a 16 per cent increase in state highway traffic volumes and a 35 per cent increase in public transport boardings in the region. Yet spending via the New Zealand Transport Agency on new and improved transport infrastructure in Auckland hasn’t increased. • Allow Auckland Council to collect a regional fuel tax to fund the acceleration of these investments, along with infrastructure bonds and targeted rates to capture value uplift. So Labour have committed to the Congestion Free Network with some upgrades along the way. 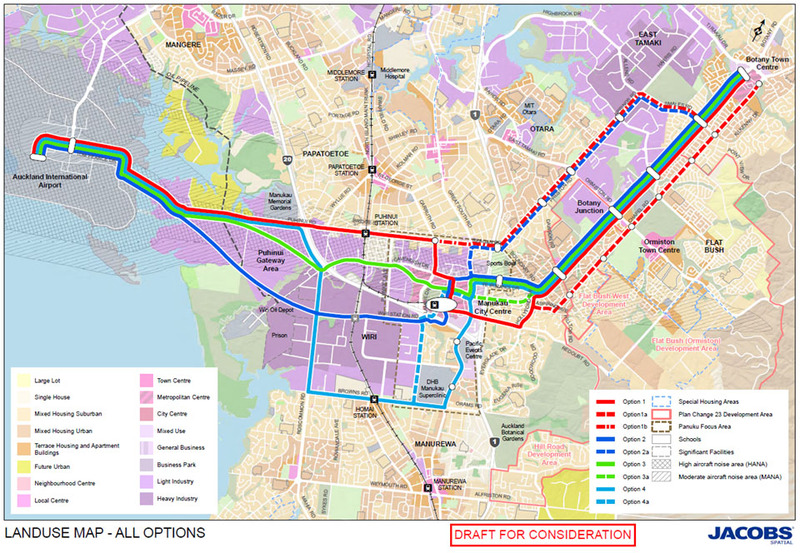 The North Western will go straight to Light Rail rather than bus-way first meaning that corridor up to Westgate finally gets the love it has so missed out on by this Government. 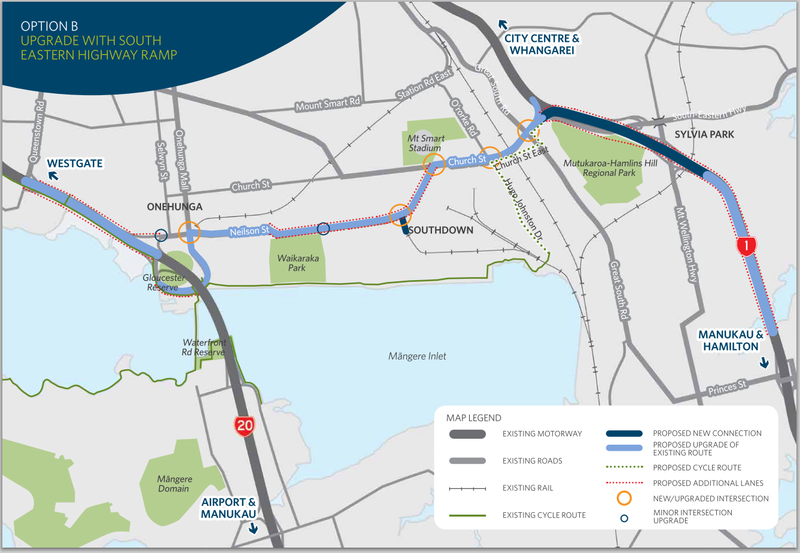 The East West Link will be scaled back to around $725m (down from the current $1.85b) meaning Option B is going to be back on the cards. Southern Auckland turns out to be a massive winner in the announcements too. Labour have committed to the full Botany Line (Airport to Botany via Puhinui and Manukau) within ten years (Airport to Puhinui done by 2020) while the Third Main will go from Westfield all the way to Papakura rather than Wiri as proposed by National. Pukekohe Electrification is also in the mix from Labour cancelling out National’s very weak announcement seen HERE. The Botany Line (also known as The Southern Airport Line) is a victory for me after long hard years getting this one through and finally over the line. While we have an election to still go through National’s complete refusal on any of the Airport Lines is enough for me to vote against the Government. The good thing about Puhinui to the Airport is that it capture passengers from the Southern and Eastern Lines widening the catchment along the heavy rail network until the Northern Airport Line is built to the City Centre. In any case Labour are attempting to be proactive with transport investment while National has been flat-footed and reactive. Even their rebuttal is tone deaf. Man alone vs leader of the people etc. Labour Announces Transport: Airport Lines On the Way!